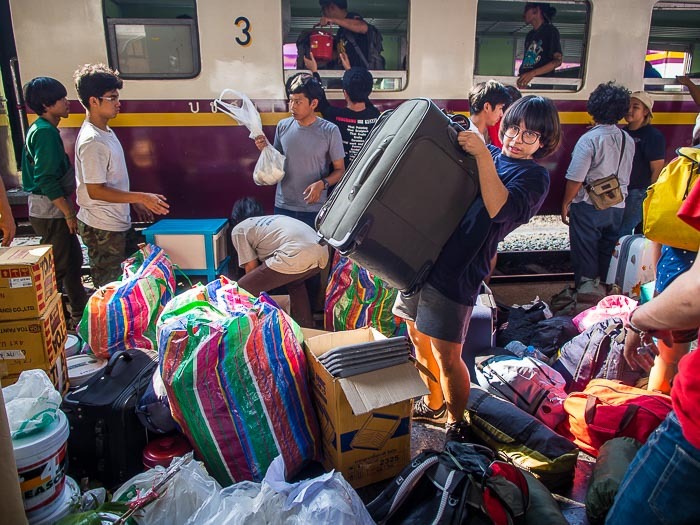 Thai students returning to Bangkok after the long New Year's break get off a train in Hua Lamphong station. 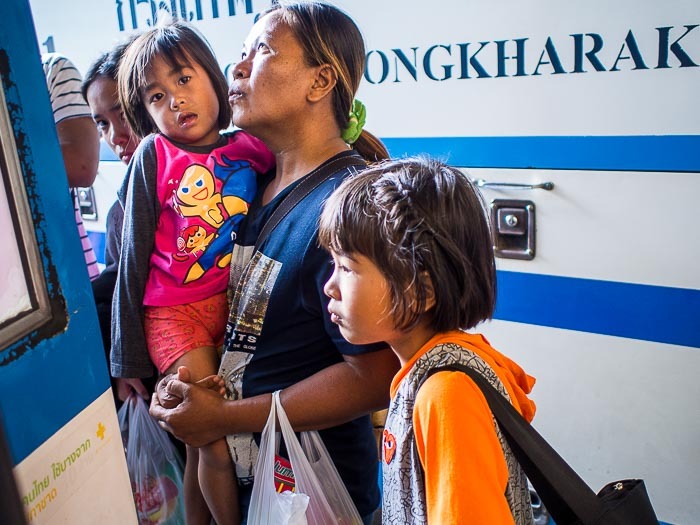 Thais hit the road during their long holiday breaks. New Year's Day this year fell on a Thursday. A lot of people took off Dec 31, Friday January 2 was a holiday and then we rolled into the weekend. New Year's Day in Thailand turned into a 4 ½ day long weekend. Bangkokians left town en masse. Some went north to enjoy the slightly cooler weather in northern Thailand. Others went to the beaches and many went back to their home provinces to visit family. 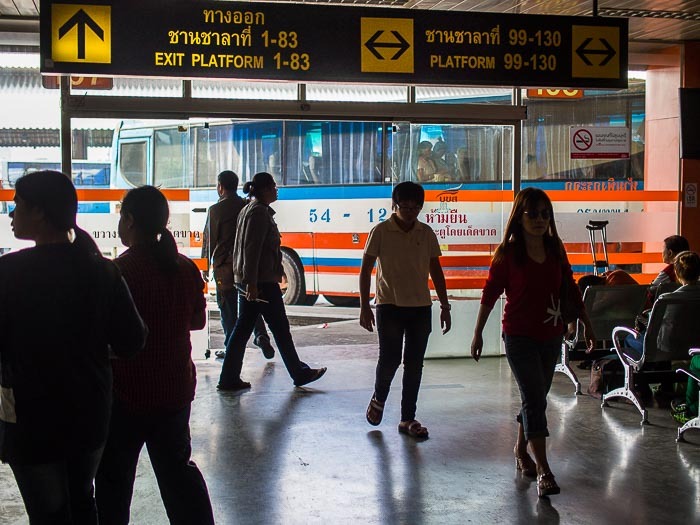 Boarding a bus to go back upcountry after coming to Bangkok to see family. It was nice being in Bangkok during the New Year holiday. The city felt abandoned. The Skytrains were empty, traffic was very light, and sidewalks were clear. But all things must pass. By tomorrow things will be back to normal. People will go back to work, the Skytrains will be packed and traffic will be the stuff of legends.